Hi, I recently bought an eZee Torque elctric bike and am interested in using solar energy to charge it - especially in having a portable option. There are a number of solar battery chargers on the market and I'm not sure what would be compatible with the lithium batteries, how large a solar panel I would need etc. Does anyone have any ips or information? Id start by looking at how it all charges first, I dont know the eZee Torque but I'm thinking if the chargers just a off board powersupply that plugs into the eZee Torque and the BMS is on the bike then first find out what the voltage of the PSU is , once you have that then you can look at solar panels size and amount that you would need to sort of match it. Does that make sence ?? You'll need to know what voltage you're charging first then as Chris says build your solar array based on the voltage. I always have my car or camper connected to a solar panel to keep them topped up (not the same as what your after) but this is a really simple 12V system. Some pics here. Thanks for the information - I'll do a bit of investigation and see if I can get it up andrunning. Whatever you do please make sure your Lithium cells can not possibly go over-voltage. Lead acids can quite happily exceed their maximum voltage (within reason) but lithiums tend to go BOOOOOOOOM if you do! 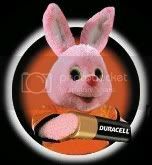 aminorjourney wrote: Whatever you do please make sure your Lithium cells can not possibly go over-voltage. With Guy Fawkes just around the corner it is probabably the ideal time to give it a go! Hmm, interesting. I've been giving the subject some thought myself recently (I have a Sakura) and I've come to the conclusion that it would be an interesting if expensive experiment. 36v x 14 amp-hours = 504 watt-hours. 504 watt-hours / 15 miles = 33.6 Wh/mile. Electric bikes usually come in either 24volt for the bycicle type ones, and 36v for the more moped style things, so if you've got the moped type thing you'll need three panels. At Ã‚Â£83 each + postage that could run into money, but if you want to go touring on your electric bike it might well be worth it. As you can see, even in midsummer you aren't going to get that far on a day's sunlight, but you could do, say, a electric powered cycling holiday on it and maybe it could indeed extend your range day-to-day to the point where you don't have to carry a charger around with you. I'd certainly like to find out! It all depends on what your application is, really. If you just want better range, consider upgrading your battery to a more efficient chemistry first. Remember, the solar panels obviously don't work at night, and will be far more efficcient in summertime. On the other hand, Lithium batteries are getting quite cheap now. In fact, your bike already uses the best battery type available (and one that can be dangerous to use under non-standard charging regimes too), so you're looking at changing your bike before you do anything, in any case. Then again, if you want to travel indefinitely without plugging into the mains, ie for holidaying purposes, obviously experimenting with solar would be much more useful - in fact that's very much something I'm interested to hear about, so go for it and write up your experience here!